TRIMMER LINE HEAD SHINDIAWA T242 Rentals Ft. Collins CO, Where to Rent TRIMMER LINE HEAD SHINDIAWA T242 in Ft. Collins, Wellington, Greeley, LaPorte, Loveland, Windsor CO and all of Northern Colorado. Carry the Legend, a Shindiawa Trimmer. 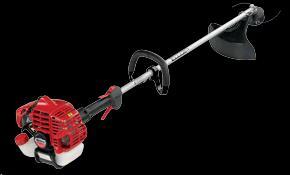 A powerful straight shaft trimmer, 23.9 cc 2-stroke engine, Weight 12.5 lbs. A Bump string head with a cutting swath of 20"
additional line is available for sale. 2-CYCLE ENGINE, UP TO 1 GAL MIXED FUEL INCLUDED NO CHARGE. TRIMMER LINE .080 ROUND 1/2 LB. TRIMMER LINE .095 ROUND 1/2 LB. TRIMMER LINE .080 CROSSFIRE 1/2 LB. * Please call us for any questions on our trimmer line head shindiawa t242 rentals in Fort Collins, Wellington, Greeley, LaPorte, Loveland, Windsor CO and all of Northern Colorado.